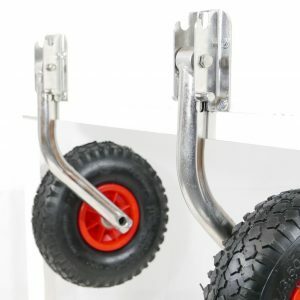 Compact, grey wheels, quickly folds upwards and remains attached to the transom after launching. Max payload 112Kg (or 250lb). 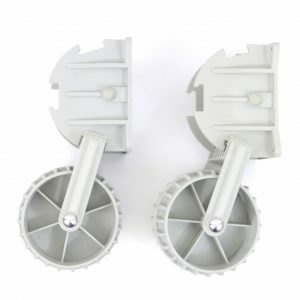 Aesthetically designed wheels quickly folds upwards and remains attached to the transom after launching. Max Payload 150Kg.